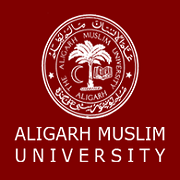 Aligarh, September 8: The Aligarh Muslim University (AMU) will conduct the Ph.D admission tests from October 4 to 8, 2017. According to the Office of the Controller of Examinations the last date of submission of application forms is September 20, 2017. AMU will declare the results of admission tests on October 20, 2017, while the interviews for admissions will be conducted from October 27 to November 11, 2017. The university will declare the list of selected candidates on November 6, 2017. The admissions will be completed from November 10 to November 21, 2017.